This sandy slope in Kalipayan was gaily decorated with sea stars as I explored the area one afternoon. These brownish invertebrates was scattered all over creating contrast against the white sands. 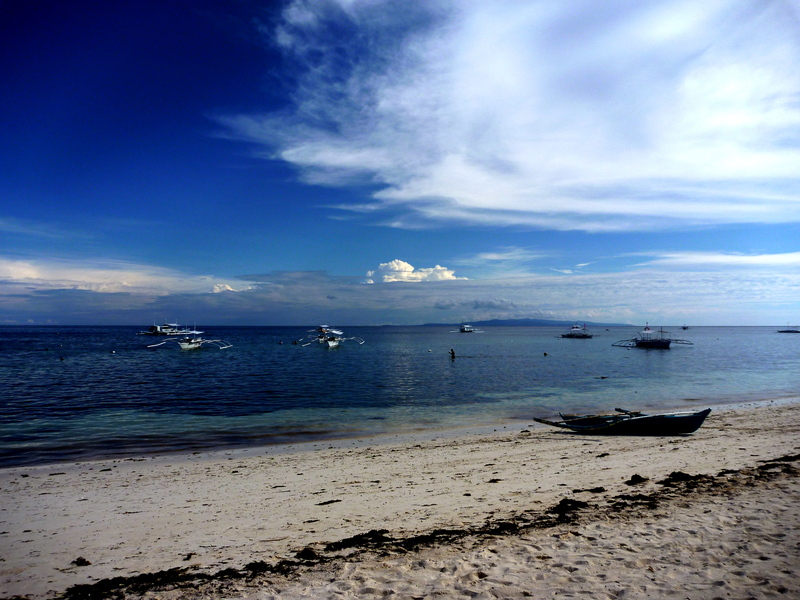 One of the wonderful sites in Panglao Island, Bohol. After some time of waiting and wishing I could get back to Balicasag, I finally made it during my work trip in Bohol. I was dying to dive and I missed the smell of the sea as well as the diving gears. J On our second day in Bohol Plaza, I tried to reach Genesis Divers to inquire their schedules but unfortunately no one can give exact information unless their master divers could get back to the shores. 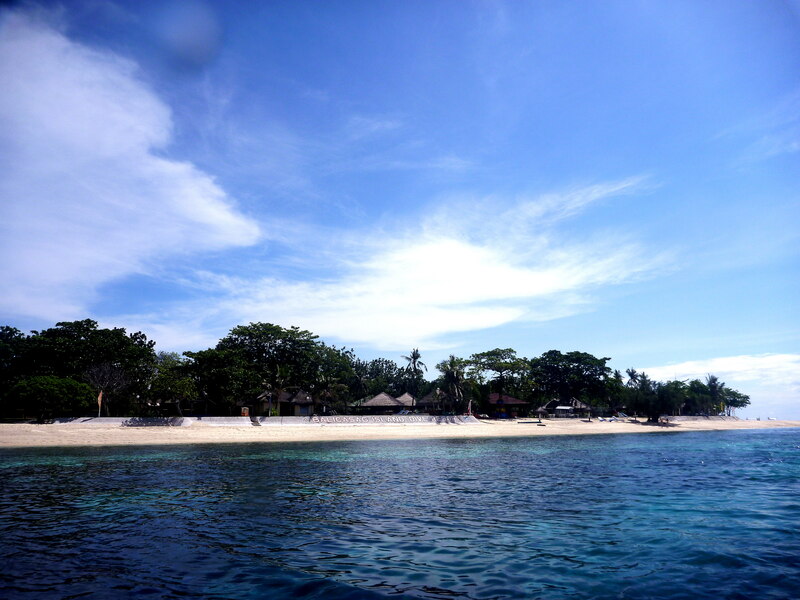 So, while we had our Dumaloan Beach fun on the next day, I sneak away (with Enri) to Alona Beach to search for a dive shop. 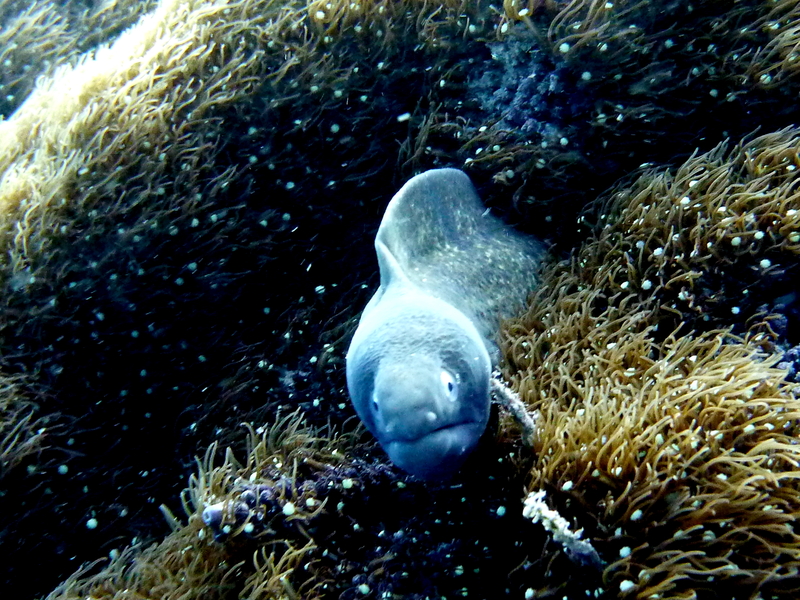 I was just getting excited the next morning, thinking of my underwater encounters at Balicasag. Hah! Last time when I snorkeled at marine sanctuary I was ecstatic during our fish feeding, as soon as I got into the water with crackers (sorry, it’s not good practice), the surroundings came alive! The fish swarmed me and my sister, it was too wonderful having them too near to us. 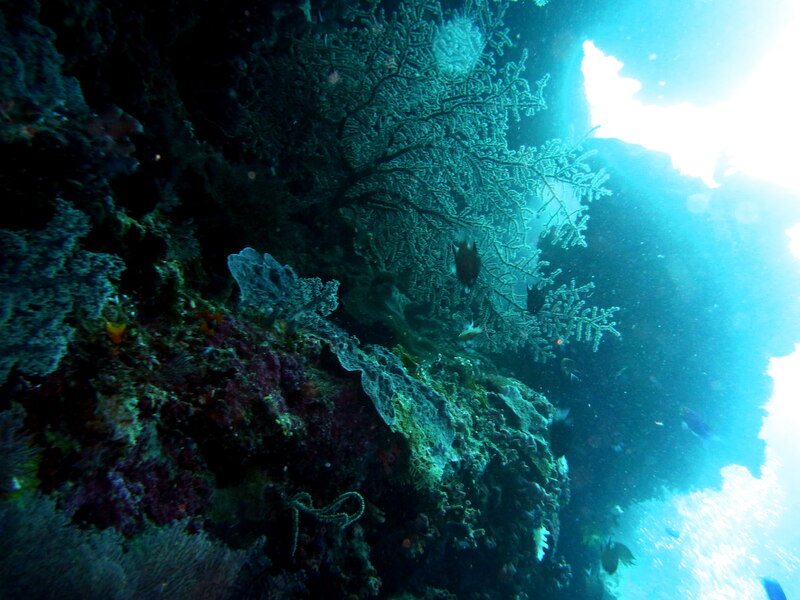 After that, I promised myself to be back in the island to explore more of the deep waters – to dive! After packing my luggage, taking our breakfast, arranging our tickets back, saying bye to friends and some picture taking I left the hotel on a motorbike – the cheapest transpo I could get going to Alona. I dashed off when I reached the area as it was past 9am already, we’re leaving for the island at 9:30 as scheduled. I was just on time as they were starting to bring the paraphernalia to the speed boat that would bring us to the dive boat. Oh, how I love the sight and smell of the sea. Norman was telling me that I would be with Bart – a fun loving DM who will be my buddy one on one. Our first dive was in Cathedral – a drop off wall rich with marine life… Well, the viz was about 20 feet, not bad – I was sure I could see many sights on that condition. 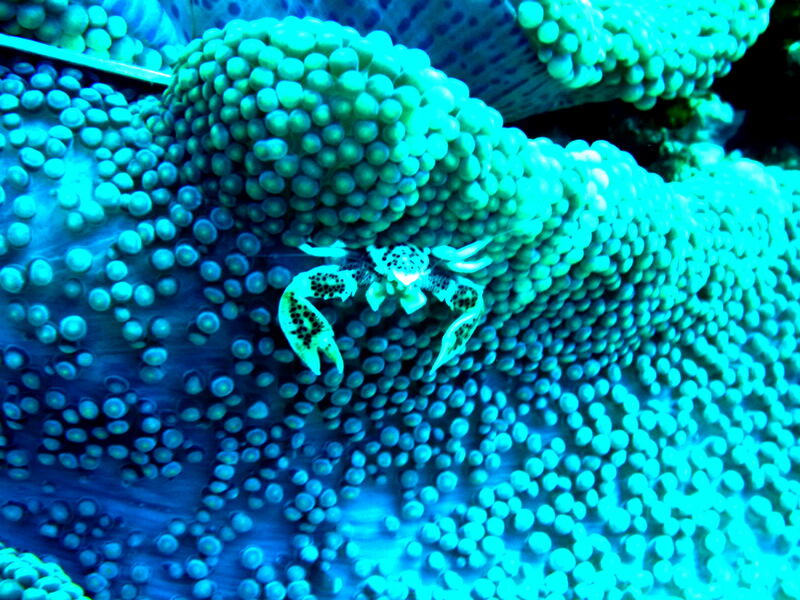 How I miss the underwater life! I just love floating deep down watching the marine creatures – I was so amazed to see a giant napoleon wrasse! We found a cute nudi branch, searched & find cleaner shrimp and star feather crab, angel fish, bat fish, anemone & clown fish, anthias, variety of hard and soft corals, sponges and more…Bart signaled to ascend after 50 minutes, I still have 80 bars of air when we surfaced. Lee & Shirley (the Chinese couple) almost at same time ascend and went up the boat. My surface interval was spent talking with DM Bart, eating my bananas, sending SMS to friends about my dive and taking notes for my log book. 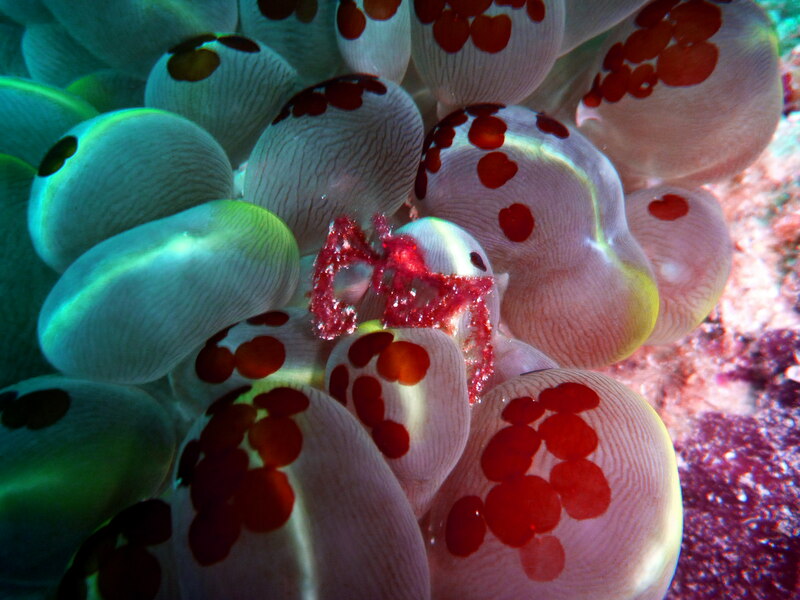 I requested the boat crew to let go the anemone fish in the tabo, I can’t imagine the small creatures face death for no good reason. Bart briefed me that there would be mild current, so we will be somewhat drifting on the second dive. The boat moved to Black Forest, we descend to wide sea grasses area – all green and swaying with the current, with variety of fishes swimming around – such lovely sight! I spotted a puffer fish and tried to chase the frightened little thing. I can see its pleading eyes, I wanted to touch it but Bart summoned to the opposite direction. 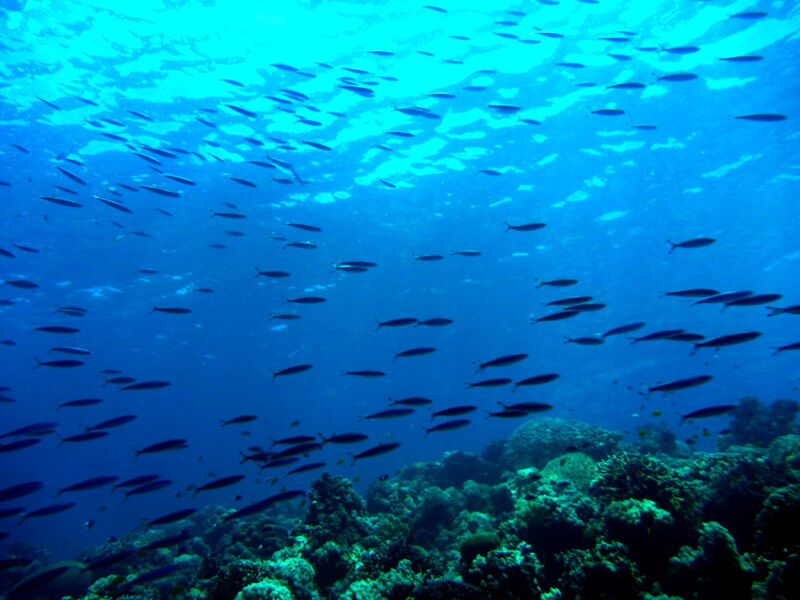 J Drift diving was new to me, it was a lesson to learn as a diver – just floating and going with the flow! It was effortless but I just need to stay near Bart. I saw again a giant napoleon wrasse swimming coyly, a school of big jacks, school of batfish, big groupers, those fish sticking out from the sand (I forgot I need to check fish ID J). We sighted a fish trying to dig the sand probably attacking its prey, played with clown fish stretching my hands to them, there was a table top coral, sponges like I saw in Lapining, and more. I was hoping to spot a sea turtle but there was none – no luck. Finally, Bart signaled for our ascent, he inflated his signal device as we have drifted away from our boat and we notice some boats above us. After 53 minutes and my air down to 90 bars, we finally surfaced near another boat. J After awhile, the boat picked us up – the Chinese couple ahead of us. 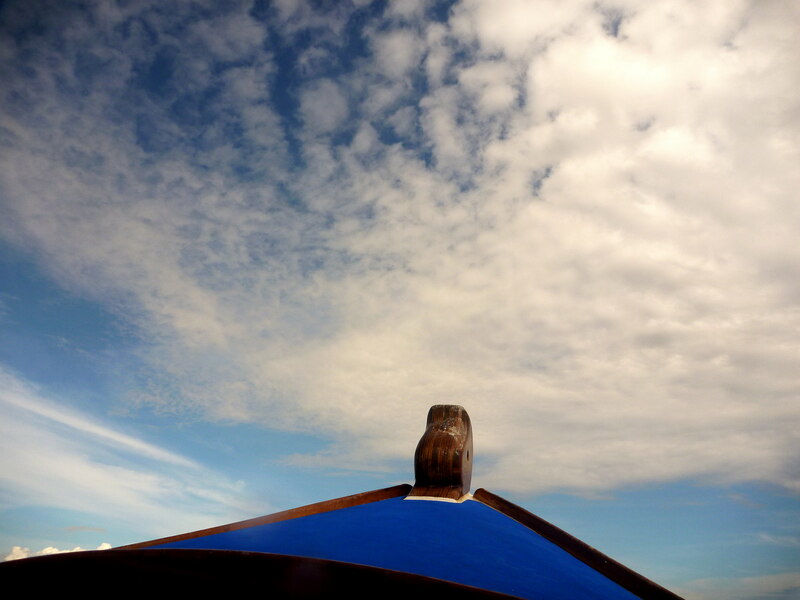 We sailed back to Alona Beach as I took notes and worked on my phone, it was past 2pm already. I ordered my late lunch, although I was not famished I need to fill my stomach as I planned to roam down town Tagbilaran. 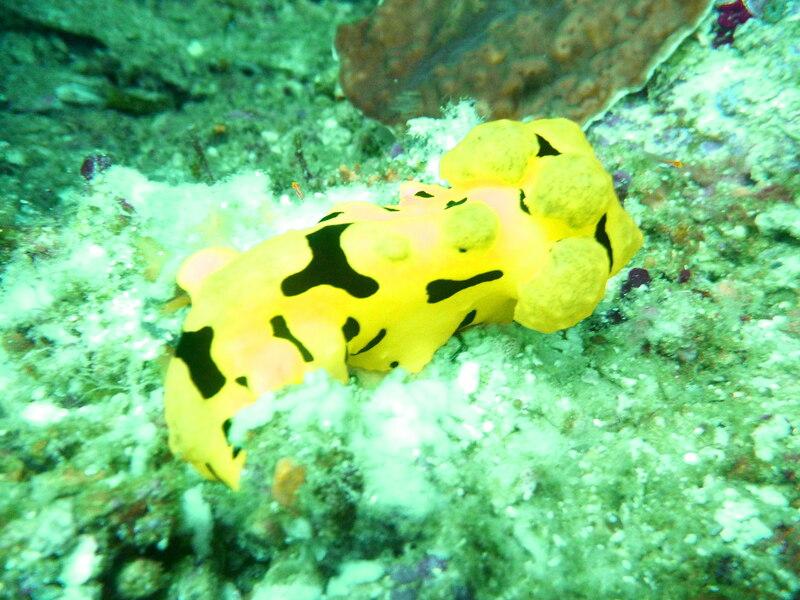 After settling my bills, bidding bye, and asking for directions to go to sawang for my transpo to the city, I left the area but promising myself to be back again for another dive – the island having many interesting dive sites to offer! 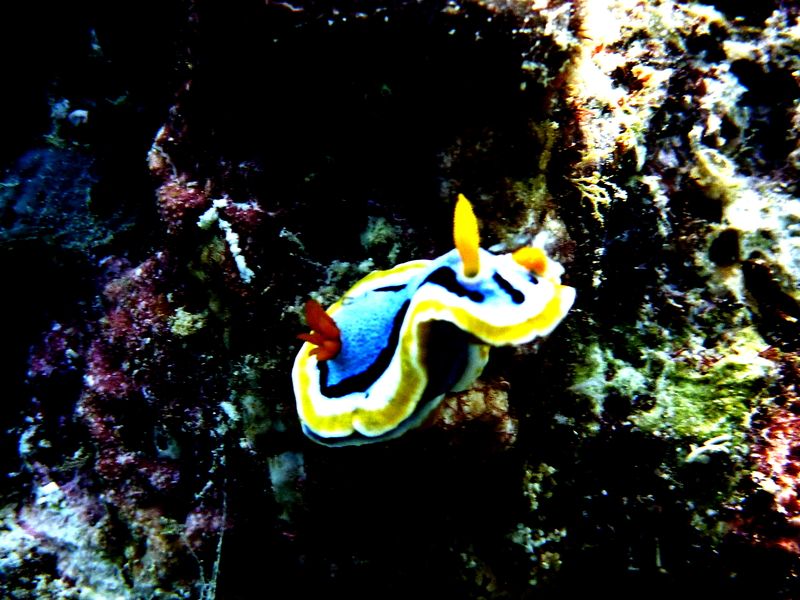 I rode the mini bus for Tagbilaran with a smile on my lips thinking of the beautiful rich marine life in Balicasag. All things has its own appointed time even my small wishes like dive trips… I can always thank the Lord in His unending generosity – surely He can never be outdone and He never forget His promise….